16066 ft (4897 m) Highest point in Antarctica . possibly over 13000 ft (4000 m) from the east side! 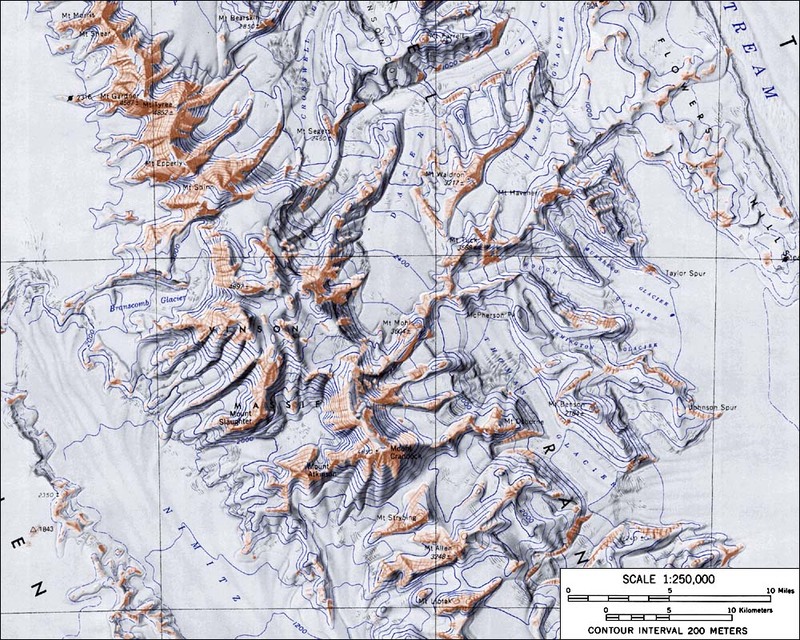 Vinson Massif is the highest point in Antarctica, an immense block of uplifted rock on the western edge of the Sentinel Range in the Ellsworth Mountains. 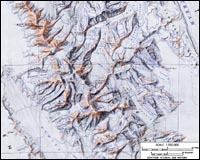 This range is situated near the base of the Antarctic Peninsula, just west of the Ronne Ice Shelf. 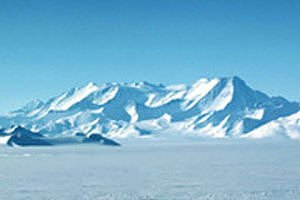 As one of the "Seven Summits", Vinson has become somewhat of a popular climb in recent years despite the expense and difficulty of reaching it, and several companies now offer guided expeditions. The standard ascent route climbs the Branscomb Glacier on the west side of the peak, starting from an aircraft landing at about 7000 ft (2100 m). The first climb from the east side of the range was recently completed and filmed for NOVA (see link below). Several ski and snowboard descents of Mount Vinson have also been done in the past few years.